When a ship bound for the United States loaded with beef caught fire off Brisbane in 1964, one man saw a business opportunity. After the ship, the Lake Ontario, was towed into Brisbane, meat trader Don Johnston offered to buy 700 tonnes of the smoke-damaged meat to sell it to a cannery. In the process he made a profit of £60,000, a huge sum that set him up in business. A few years later Johnston partnered with Brisbane businessman Douglas Cory to establish the meat and agriproducts trader Cory Johnston. Now celebrating its 50th year, Cory Johnston is a $50 million business looking to expand into the burgeoning Asian market. Trevor Cory, Douglas' younger brother who now runs the business with long-time employee Peter Shearer, says the company quickly expanded into related animal products. 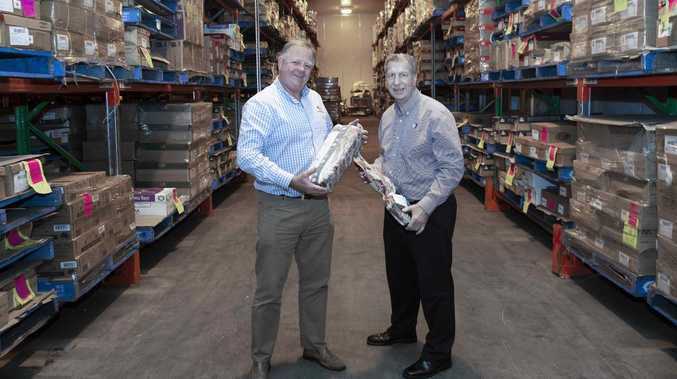 "We were supplying meat to pie manufacturers and small goods factories as well as tallow to soap manufacturers like Campbell Brothers and margarine makers Meadow Lea," Cory says. Astute investments later allowed Douglas Cory to diversify into cold storage and establish the Doboy Coldstores at Hemmant in 1976. As well as meat, Cory Johnston now also trades grains, pulses, oil seeds and animal proteins. 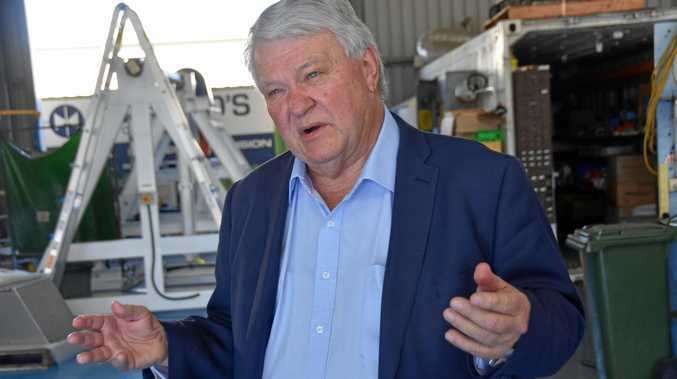 Shearer says that, while most of the company's annual sales of between $45 and $50 million are on the domestic market, it is increasingly looking at exports into Asia. "We already ship meat into Korea, Japan and Indonesia," Shearer says. "The key attraction is the sheer number of consumers there." Queensland's agribusinesses, such as Cory Johnston, are increasingly eyeing Asia as the mainstay of future growth. The sector had a big presence at the China International Import Expo in Shanghai earlier this month. The brain child of Chinese President Xi Jinping, the expo attracted about 3000 companies and traders from around the world. Among the Queensland firms at the event were Capilano Honey, Kilcoy Pastoral Company, Buderim Group and the Queensland Food Corporation. Shearer says working with the right partners in Asia is crucial. "You are better off working in a joint venture rather than appointing an agent," he says. "We know Asian partners based in Australia and they like the fact we are a bricks and mortar operation. We get phone calls every other day from places like China and they say they want a lot of stuff but they don't really know what they want. "We have been burnt a couple of times. The first couple of shipments are good but then the market changes and you get hit." Shearer says some of his most interesting experiences in the logistics business have involved trading in exotic locations such as Papua New Guinea. Shipments into Papua New Guinea include everything from beer and cement to toilet paper and soap. He was in Rabaul in 1994 organising such a shipment when a nearby volcano erupted. "I had been to a meeting at a village out of town and was returning when it started raining," he recalls. "The water (mixed with the volcanic ash) creating these rivers. At one stage I got out of this little hire car and was hit by a branch. There were no street lights so it was totally dark and I eventually had to turn back." Shearer says the logistics business has changed dramatically over the past half century, particularly in the area of food safety, traceability and technology. "There is a lot more involved than just buying a pound of meat," he says. "You have compliance, insurance and accreditation. There were only two firms doing what we were doing in Brisbane in 1968, now there are 15." Shearer points out that growing demand for safe, high-quality food in Asia gives Australia a big advantage. "People are becoming a lot more concerned about where their food comes from," he says. "The more information you can provide about a product the better. That is something Australia can prosper at because of our green and clean selling point."